FULL HD VIDEO AND PHOTO RESOLUTION - 12MP and 1080P together can make sure you capture high quality pictures and videos easily. And 170°wide-angle lens allows you to shoot wider scenes and catch more amazing moment of your surroundings. WIRELESS REMOTE CONTROL CONNECTION - After connecting with your phone via Wi-Fi, you can directly operate the camera in “iSmart DV” APP on your cellphone, such as recording videos, taking pictures. Besides, you can download, delete and view files. 2 RECHARGEABLE HIGH-CAPACITY BATTERIES - The camera comes with two rechargeable 1050mAh batteries. No more worry for power running out during the happy times with your family and friends in a short time. You will never miss any precious moments. 2” LCD AND MOUNTING ACCESSORY KITS - A larger screen allows you to view videos or pictures more clearly. 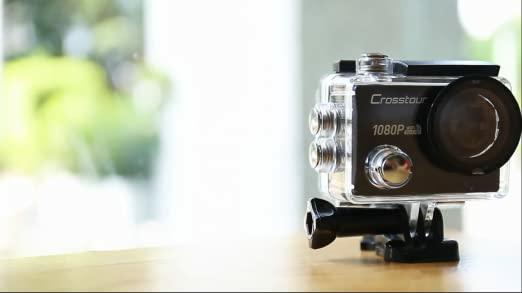 18 multifunctional accessories enable you to mount your camera to helmet, bicycles, wrist, etc. Great companion to shoot the exciting moment.